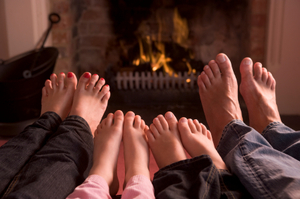 Winter is almost upon us once again and in a bid to keep their homes warm during these chillier spells, many will understandably use their heating more. The increased use of heating devices coupled with the rising costs of energy bills is likely to be a burden for many people across the United Kingdom. However, there are a number of government schemes designed to help those considered most vulnerable with their energy bills during the winter. One of them, the Warm Home Discount Scheme, provides those eligible for it with a one-off payment of Â£130 to put towards their electricity bills. Introduced by the government last April (2011), the scheme is aimed in particular at pensioners - classed as the core group - though energy suppliers participating in the scheme have their own set of qualifying standards for those that don't fit into this category - classed a broader group. There are a considerable number of UK energy suppliers - including the big six energy suppliers - involved in the Warm Home Discount Scheme too, allowing many people to apply.